It’s Spring (officially) but it’s pretty confusing out here in the City if you ask me. It’s freezing one minute and the next I’m wondering if I should finally buy those cute pair of shorts I’ve been eyeing, since March. (Have legs, will flaunt). And that’s not all that I’m confused about. 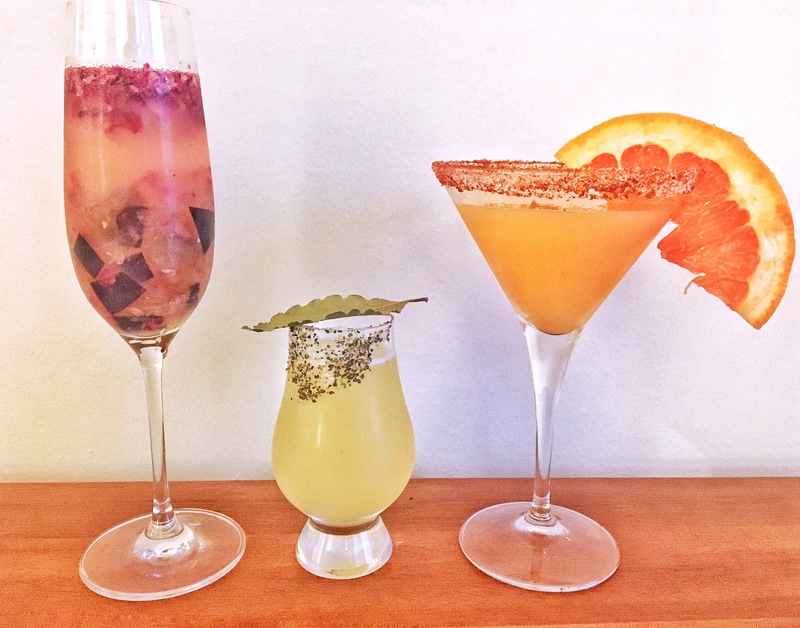 I was planning on a seasonal cocktail recipe for this blogpost, but the weather has been so bipolar, I honestly couldn’t decide what to stir up. So I made them all and now it’s a flight of cocktails instead! Why on earth should Beer & Scotch have all the fun anyway? According to me, there are three kinds of cocktail people in this world 🌎. The “can you make mine spicy” people. Of course this is completely based on no research whatsoever. But it is my blog, so what I believe is what matters I guess. There are some “﻿no-cocktails” kind of people in this world too, but I forgive them. Good Karma right there! Fill more than half the cocktail shaker with ice. Add all the ingredients (not the garnish). Shake and serve up with a bay leaf as garnish. Fill more than half the cocktail shaker with ice. Add all the ingredients (not the garnish). Shake and serve up in a martini glass. Garnish with the grapefruit wedge. Previous Post Confessions of an “amateur”﻿ mom! Next Post Fake It Till You Make It! So cool! Love the #cocktail recipes! That intro cracked me up so hard Grishma. You are the awesome crayyyyyyyyzayyyyyyy xD Singularly modest. You must consider writing a non-fiction book. Mean it. Take your time. Cheers!